Scott Forstall, the head of iOS for the past several years, was asked to leave Apple today, a move The Wall Street Journal is reporting as due to his refusal to sign his name to the letter of apology for the incomplete feature set and poor performance of iOS 6’s new Maps app. The journal cites “people familiar with the matter,” who report that both Forstall and recent retail executive, John Browett, were both asked to leave. This is one of the bigger upsets in the balance of executive power at the Cupertino tech company in quite some time, and may in fact signal a move by Tim Cook, new CEO, to more firmly establish his own mark on Apple. While Cult of Mac has reported on the ousted executives today, including some thoughts on why Forstall was asked to leave, this is the first report we’ve seen about the specific refusal to sign an apology letter. The WSJ also points to Browett’s departure as a failure to fit in with the corporate culture at Apple, along with recent mistakes in the retail arena, including a poorly-received staffing formula that favored saving money over providing a higher quality customer experience. The Journal notes mounting tension among the Apple executive staff regarding Scott Forstall’s approach, which is rumored to have been confrontational and uncooperative. He’s also been reported as relying on his long association with co-founder Steve Jobs. Added to the refused signature, says the report, Forstall sent the iOS team at Apple an email saying that they weren’t working on enough big ideas in mobile software, a move the may have tipped the scales even farther out of his favor. 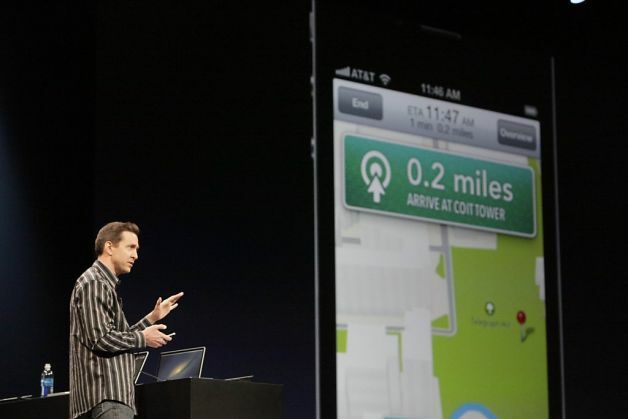 The failure, at least in the public and media eye, of Apple’s new iOS 6 version of Maps was unfortunate enough. Refusing to sign his name to the apology that then went out with just Cook’s signature may have been the deciding factor. Forstall remains on the payroll at Apple as an advisor, though Cult of Mac’s own Leander Kahney expressed his own thoughts on how the move is a shrewd one, as it keeps Forstall from jumping too soon into a job with a competitor. Who will take over the iOS team? Senior Vice President Eddy Cue will deal with Siri and Maps, while Jony Ive will cover the interface team, as part of his new, expanded role at Apple.